On behalf of admin of JML Law, A Professional Law Corporation posted in Car Accident on Friday, Jan 12 2018. A Riverside man with one or more prior DUI convictions has been taken into custody on suspicion of murder of two people in a recent high-speed car accident. The deadly car crash turned into a multiple-vehicle collision killing two people in Scripps Ranch. Two others were injured in the car accident that occurred at about 11:45 p.m. earlier this month. Jeffrey Brian Levi, 37, caused a motor vehicle pileup after he drove his red 2015 Ford Mustang at speeds exceeding 100 mph. The man, who has at least one prior DUI on his record, was allegedly swerving between vehicles on northbound Interstate 15. Eventually, his car rear-ended a Toyota Corolla, which sent the latter spinning across the freeway. The collision caused Levi’s Mustang fall into a ravine. Witnesses claim the car driver then exited his vehicle to flee the scene of the car accident on foot. Another car, a gray Ford Explorer driven by an off-duty police officer, then slammed into the Corolla, which was thrown into the oncoming traffic. As the result of the collision, the Corolla burst into flames. Thanks to the quick actions of bystanders, an 18-year-old woman inside the Corolla was rescued, while other two occupants in the car – identified as her brother, also 18, and boyfriend – could not be rescued and died inside the burning vehicle. The woman suffered severe injuries, while the police officer was hospitalized with minor to moderate injuries. Why is the DUI car driver facing murder charges? Levi didn’t manage to get away with murder, as officers in cooperation with a patrol helicopter caught the car driver within a short period of time. The man was taken into custody and booked on suspicion of murder, vehicular manslaughter, drunken driving and hit-and-run. The Riverside police and the California Highway Patrol sought murder charges against Levi because he had multiple DUIs on his record. Our auto accident attorney Riverside at JML Law explain that murder charges are usually reserved for the most severe car accidents involving deaths. A convicted DUI offender killing people as a result of driving recklessly, being guilty of distracted driving or driving while intoxicated can prompt the CHP to seek murder charges. Since Levi has at least one DUI conviction on his record, his case is considered severe. Our car accident attorneys explain that the difference between murder and manslaughter is significant in Riverside and elsewhere in California. 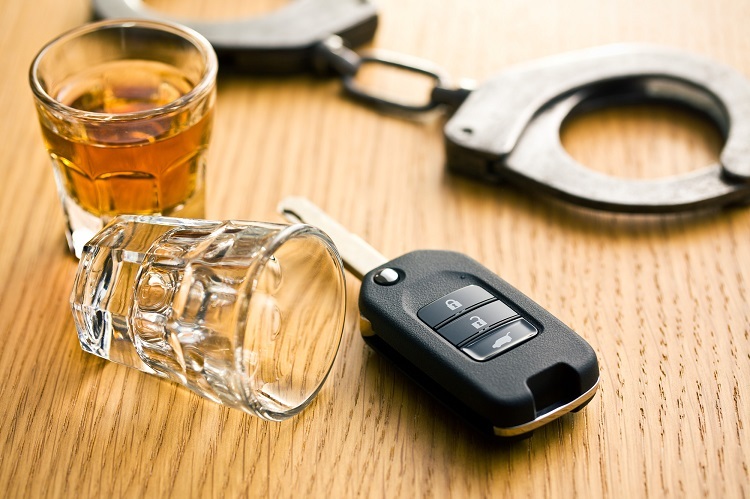 Even though almost all DUI fatal collisions are caused unintentionally, the defendant can be charged with murder if he or she has any prior DUI offenses. When the defendant has no prior DUI convictions, he/she will typically be charged with vehicular manslaughter in Riverside and all across California. Murder charges in a fatal car accident can also be filed against motorists if the prosecutor can prove that the defendant acted intentionally. Intentional homicide crimes are typically charged as murder, our Riverside car accident lawyers at JML Law note. But why is this happening? While most states usually draw a fine line between murder and manslaughter charges, it’s not the case in California. Under California state laws, consciously ignoring the risk of driving under the influence of alcohol or drugs and subsequently killing someone in a DUI fatal collision may amount to murder. If you’ve been the victim of a car accident in Riverside or elsewhere in California and an impaired driver was involved, it’s vital to seek legal advice of an experienced car accident attorney to determine whether or not the impaired motorist will be facing murder or manslaughter charges. Consult JML Law today to get a free initial consultation about your particular case. Reach out to our Riverside offices to determine liability in a accident, evaluate your damages and seek compensation on your behalf. Call at 818-610-8800 or send an email for a free case evaluation.